Should you Accept Credit Cards at Your Firm? As a savvy businessperson, you're constantly on the search for means of improving your practice's bottom line. Chances are you've fallen into the custom of accepting cash, check or some other sort of compensation. If you're lucky, you're accepting stock options as payment. One alternative that mysteriously has gotten little attention is the credit card. But there are a number of advantages to accepting swipes instead of dusty pieces of paper. What considerations do you have to keep in mind? Speed and Convenience: If you have the client's credit card information and their go-ahead to process payment, you can have your payment today. That is, of course, assuming that you haven't bumped up against their credit limit; but barring that, the speed factor is admittedly a plus. Additionally, it's convenient to have payment information in your practice's account (remember, set up your trust accounts). Locking in Payments: For those attorneys who break their services into staggered chunks, the credit card payment can be an excellent way to lock in payments when a particular task is done, thereby avoiding the risk that a client will try and back out and not pay. In those situations, the attorney has just become an unsecured lender -- a very annoying place to be in. Several precautions have to be put into place before a viable system is ready for credit card payments. First, you should make it explicitly clear that credit cards are an acceptable form of payment. Plainly state the whats, the hows, whys, and wheres of charging the card. Don't be tempted to start charging for breathing and sneezing on client's time. That's traipsing on some thin ethical ice. Also, you should never charge clients for processing fees. Yes, accepting credit card payments also means accepting a 2 to 4 percent hit in fees. But accepting CC payments also means that you're avoiding bounced checks, "I'll pay you later" talk, and payments in weed. About the only thing you can do ethically is to charge the clients more for your services -- but that would imply a proportionate measure of care, quality, and diligence. It's best to simply accept the processing fees as a fact of doing business and to embrace the advantages that credit card payment systems will potentially bring. 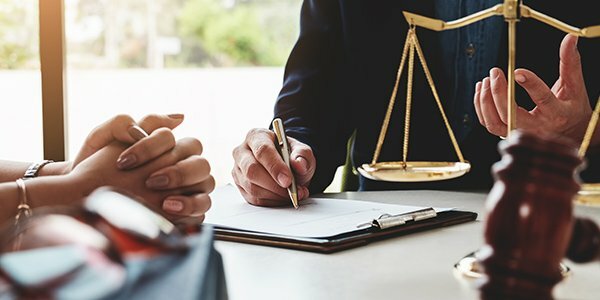 You should also include a provision in the retaining agreement that clients cannot dispute the fees made in good faith. The case law seems to be pretty sparse on this one so its good to exercise caution and due diligence.